Objective: The present tool aims to draw a detailed portrayal of industrial sub-sectors and, for that purpose, suggests a list of indicators on sub-sector characteristics related to industrial organisation and firm profiles. 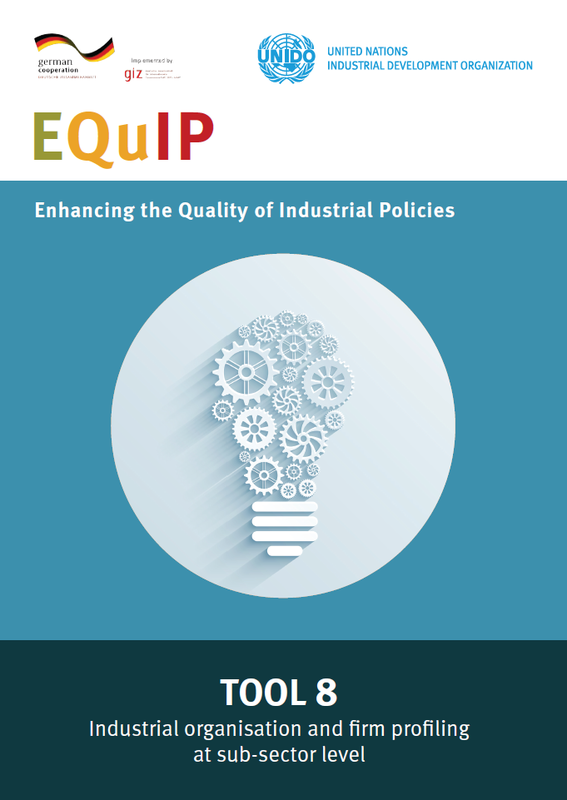 Such information on the industrial organisation and firm profiles of different sub-sectors not only deepens the analyses provided by EQuIP’s diagnostic tools on different Performance aspects of industrial development, but also provides the context for subsequent industrial strategy formulation exercises, especially when the industrial strategy approach also contemplates selective or targeted (i.e. sub-sector specific) measures. What is the degree of market concentration or, conversely, firm competition in a given sub-sector? How has this changed over time? How attractive is the sub-sector to firms? Is investment dynamic? What are the basic characteristics (i.e. size, legal structure, average age) of firms in a given sub-sector? How has this changed over time? How do firms in a given sub-sector integrate globally? To what extent are foreign firms present in a given sub-sector?